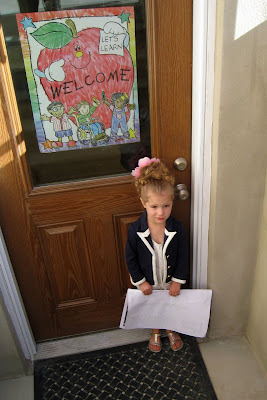 At the beginning of September, Ava started preschool. She was so excited to start preschool and has absolutely loved it. The first day, Ava was very excited to go inside and did not understand why I was taking so many pictures. Ava is holding her "All About Me" poster, which her teacher used for spotlighting Ava on her birthday. 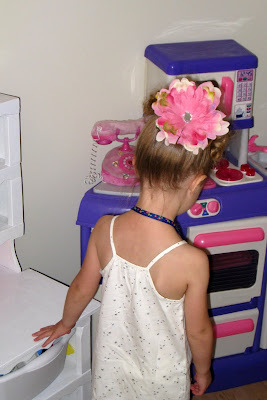 One of Ava's favorite parts about her preschool is this kitchen. 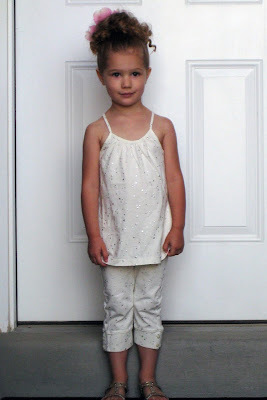 It's hard to believe that Ava is already old enough to be going to preschool. 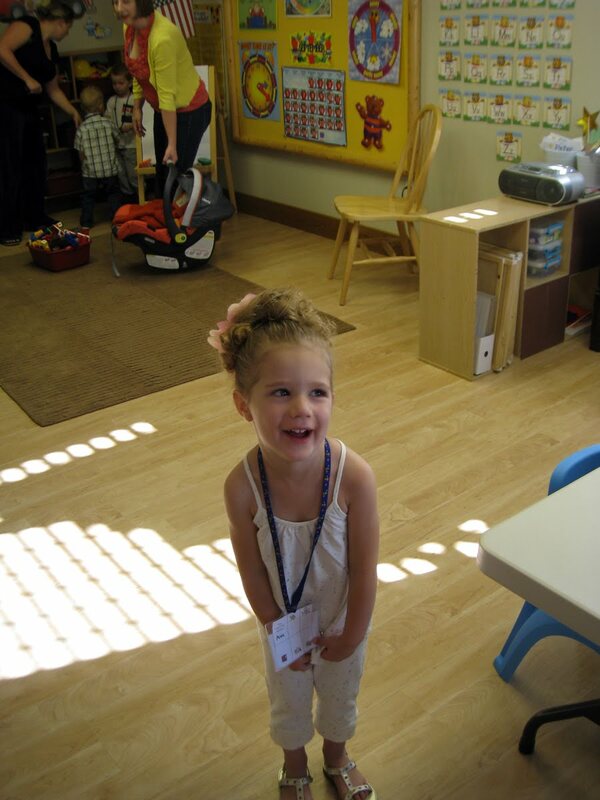 Ava is a great little student and has loved every minute of preschool. Yay for preschool. She looks so cute!